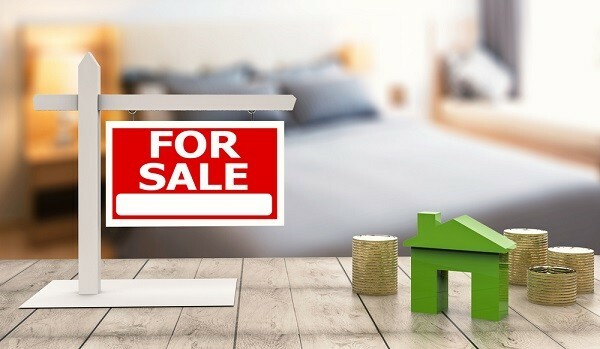 There is a commonly held belief that spring is the best time of the year to sell a residential property, however it may not be the best time for you. Peak season means more competition as there are more sellers vying for buyers’ choice. Alternatively, summer can offer the advantages of good weather, potentially less competition, and people wanting to move when school is out, or buy as a fresh start to the new year. LocalAgentFinder, Australia’s largest free real estate agent comparison service, shares its five-point strategy for achieving the best possible price and sale outcome for your property this summer. The three cardinal rules to selling real estate are price, price, and price. If the property has a smart marketing strategy, it’s the asking price or price guide that will make or break the sale. Generally, buyers will make offers when the asking price for a property falls within five per cent of market expectations. As an owner, it can be difficult to price your property, regardless of what you have spent on it. If you have lived there, you’ll have an emotional investment in the property and because of that, you are very likely to believe your property is worth more than market price. The risk vendors face if they overprice their house is that they may have to reduce their selling price down the track to attract buyers, and if that property has been sitting on the market for more than a couple of months, buyers might think there is a problem with property. Often, vendors end up selling their property for less than they would have because they don’t have the correct pricing strategy in place from the beginning. On occasion, real estate agents can also be at fault for overpricing properties. Vendors should take their time when it comes to choosing the right real estate agent, and compare them against others in the local area. Vendors must also be cautious of agents who say the market will pay significantly more than what other agents have estimated – this is called ‘buying a listing’. A good, dependable agent will give vendors a realistic, achievable price within market expectations, provide sales history from properties in the neighbourhood, and give a property valuation based on numbers, not on sentiment or a showy sales pitch. In today’s competitive housing market, creating a solid marketing strategy is vital to ensure maximum exposure for your property, thus resulting in visibility to the widest range of potential buyers. A marketing plan will include numerous forms of advertising, and the internet will dominate it. Each major real estate website charge different amounts for their listing privileges and some even offer discounts to real estate agents. A good real estate agent will help pass along these savings to their clients. A general rule shared by most real estate agents is that vendors should spend approximately one per cent of the total anticipated sale price of their property on marketing, however this will vary depending on the type of property as well as the local market. A property’s exterior is the first thing buyers will see, and vendors should put effort into improving its curb appeal. A good real estate agent will highlight the stand-out aspects of a property, to allow the vendor to really showcase them when it comes to inspections. If the exterior is neglected, buyers may assume that other parts of the property may also be neglected, and think that they can make a successful offer below asking price. In order to make the most of the summer sunlight, vendors should pull back all of their drapes and curtains and open up the windows to let in the fresh air. Polishing chrome fittings, floors, mirrors, glass, and door knob will also ensure that the light bounces off the clean surfaces. Going one step further by positioning vases of freshly-cut flowers throughout the home will also do wonders. Colour appeals to the senses and can be quite powerful in influencing buyers. Replace your old bath mats, linens, throws, and pillows and replace them with complementary colours that help fit the summer theme. A fresh coat of light, pale paint can also bring out the best in your home by making spaces seem larger. Also, consider hiring furniture to help style your property or to fill an unfurnished room. Some properties are at an advantage of being sold in summer, particularly holiday houses or properties by the coast, on the harbour, close to the beach or near a river, attracting cool breezes. Similarly, a property that is dark and cold in winter can benefit from being sold in the brighter, warmer summer months. If the property has good airflow, vendors should open windows to demonstrate this. For inspections, vendors should cool down the property with their air-conditioning prior to potential buyers arriving. Inspections should be held in the morning if the property tends to get warmer in the afternoon.